The Look: a modern take on the classic "mod" eye makeup. Bright sky blue crease liner, "bushy" lashes and a touch of sparkle complete the look. The Look: I was going for "Candy Girl" or my take on 90's style: crop top (then known as belly top), short shorts and a name plate necklace. LIPS: NYX lip liner in Hot Pink and Macaron Lipstick in Rose. Wow, I love those lashes. Gorgeous look as always Maryam! 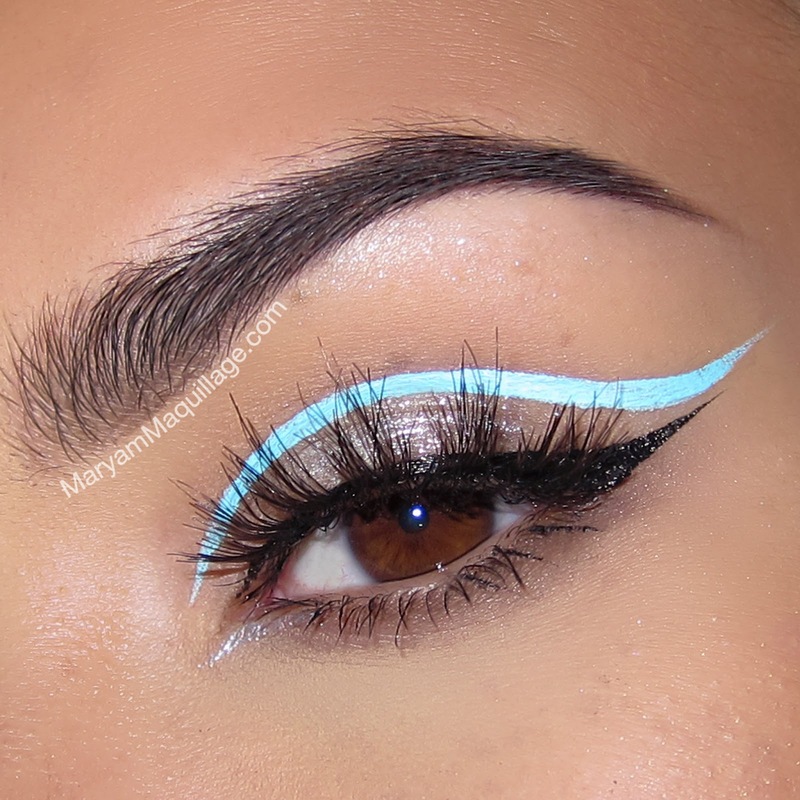 Bright sky blue crease liner makes this look become so fresh! this is such a gorgeous look! really loving the blue milk. I really really love this look, because it adds a nice coolness during summer. I'm hoping I'll be brave enough to try this out! Love your outfit by the way! Love the graphic eyeliner! I also love those false eyelashes. Love it, it looks stunning, I love how you can put anything together! Super cool colourful crease! I love the pale blue matched with the pink ombre lips. I love the top too and the shorts are bootylicious! Love ya! OMG! This is an eye catching look, thanks for sharing, we are going to try this out!